Changes to security related configurations, such as token expiration time or what servers the applications can make requests from, are set in Security Settings. Tip: If you want to hide or expand one of the sections, click the square at the end of the section name. This sets the policy for returning application (server-side) errors. When errors are hidden, the application will give a generic "An error occurred" message, but when errors are shown the user will get a detailed error message. Available options are: Hide all errors, Show all errors, and Show errors on server only. Select the desired option from the dropdown. This sets the number of days that a user can stay logged in without needing to sign in. Enter the desired number of days. This prevents the default behavior of the application forcing all users to re-authenticate the next time they sign into the application when changes are made to any role or role's privileges. Check/uncheck the box beside Prevent Auto Sign Out Feature. This sets the date and time all tokens will expire, so that all users must be re-authenticated. 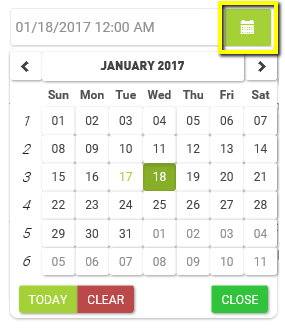 Click the calendar and select a date. Tip: The time will be defaulted to 12:00 AM unless changed. Or Enter in the desired date and time. Heads Up! The expected format is MM/dd/yyyy h:mm a. This sets the number of hours the link to reset a user's password will remain valid. These options allow you to specify what servers the application(s) can make requests from. For more information: HTTP access control (CORS). Example: If you have tds on one server and Road Analyzer on a separate server, this will allow Road Analyzer to make requests to the server tds is on. Enter "*" to allow requests from all servers, or enter in the specific server(s) that you will allow requests from. Enter the Allowed CORS Origins, Headers, and/or Methods. The System Admin is built-in and has global access to everything no matter what role/privilege they are in and will be available no matter security you choose for the application. If you used the Configuration Wizard this will already be filled in. Enter the desired System administrator "username". You can select the role name that has the privileges anonymous users will receive. Select the desired role name from the Anonymous access role name dropdown list. You can select whether or not to have the role privilege mapping to be handled automatically within the application itself, or be based on the suggested privilege levels and semantically defined role types you set. To enable, check the box beside Auto-managed role privileges. You can assign roles to admin and standard users with default privileges. If you install any new applications, these roles will be automatically assigned privileges. Heads Up! If you are using Active Directory or Security Token Service your Role Names for these groups must match the equivalent role name in your Active Directory or Security Token Service. If they do not, the application will not recognize you and will be locked out. Select the desired Role Name from each of the dropdowns. Note: The options available in the dropdowns for these roles are from the Roles section. If you do not want a role, you can select Prevent automatic privilege assignment options. You can set the role name that will be assigned to all new users or prevent automatic assignment of a role. Select the desired Role Name from the dropdown. To create a user account for external users, enable this setting. With Just-in-time (JIT) provisioning, an internal application user will automatically be created based on the external user information. To enable, check the box beside Enable Just-in-time provisioning. In Users and User Roles, this will set the maximum number of users the application will search for and display in the list. Enter the desired number of users. When a new user registers in any of the TDS applications an email will be sent if the following information is filled out. Further configure this email content by adjusting the subject line and template to suit your needs. Optional: Edit the default Subject Line and/or Email Template. In these settings you can specify the subject line and body of the password reset email for your organization. Enter the desired Subject Line and/or Email Template. Should you want to reset to default all security settings, click Reset and select Save on the confirmation popup. Heads Up! Be aware that a few other security settings that are not visible in this form will also be reset.